1.) Wear Comfortable Shoes Sorry, 4-inch heels are out of the question. It will take you a few hours to walk the floor and see all the vendors, not to mention the time you spend watching the bridal fashion shows and standing talking. So dress comfortably, especially your shoes. 2.) Budget Enough Time Usually there is a line to get in prior to the show opening (at least at good shows), so plan to arrive early. It will take you a few hours to walk the floor, see everything, chat, eat, watch the fashion show…so be sure to budget plenty of time. 3.) Limit your Entourage to 2-3 People I know you want to take all your bridesmaids, your sisters, your fiancé’s sisters, Moms and Grandmas, but the isles are crowed and it’s hard for everyone in your group to see (and stick together). Go with a smaller group of people who are in-tune with your agenda (see #4 ) and will help you, not waste your time looking at things you don’t need or already have checked off the list. 4.) Create an Agenda Know what vendors you need and don’t (florists, bakers, music, stationery, food, venue, tuxes, gowns, etc) and make a list. 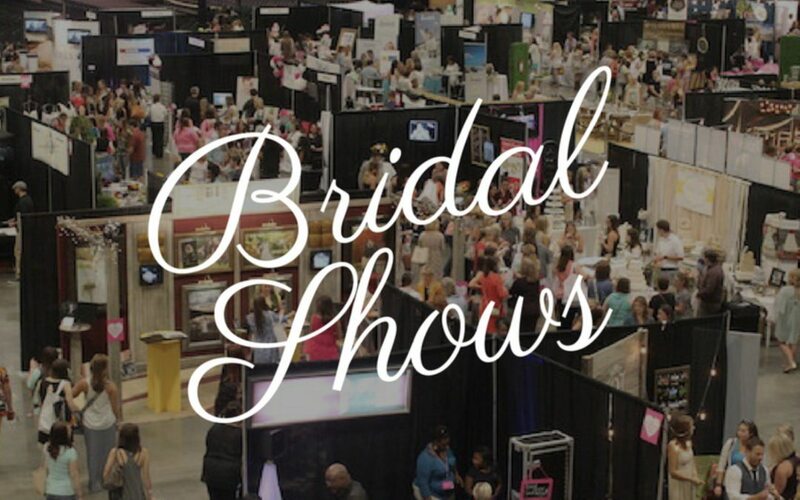 Do some pre-homework; check out the websites of the wedding experts in the categories you need who are at the show (usually there is a list of “vendors” or experts as I prefer to call us on the bridal show’s website) and then map out where they are and make sure you see them first. Be sure to share this information with your entourage so they know who/what kind of experts you are looking for. Make sure they stick to the agenda as it is easy to get distracted at bridal shows with lots of pretty things. 6.) Don’t be Shy You are at this bridal show to collect information and make an expensive decision on who to hire. Don’t be shy! Talk to the people in charge; ask questions. Look at their work. Touch their work. Be involved! This is like a pre-qualifying process for you to decide who you want to spend valuable time with meeting and chose for your wedding–take advantage of this time! 7.) Talk to Experts During the Fashion Show It may be noisy, but 2/3 of the other brides are watching the fashion show. This means the experts are less busy–this is your chance to go have a conversation! 8.) Schedule Consultations/Book on the Spot with Experts you Love Or if not on the spot at the show, call them the week after and get scheduled. Wedding pro’s calendars fill up very quickly after a show, and many times the expert is participating in more than one show, so be one of the first to call so you don’t lose your opportunity to meet/hire them.